There are light and dark, of course, but we wanted to awaken our positivism to choose here a most positive points that they can to make ‘For Honor’ option, at least, original and risky. It’s not something we see very often in this medium, so when things come this way it’s impossible not to applaud. And not for aesthetic or packaging the final game, rather a matter for the joy of being able to enjoy distinct styles that turn every fight in a particular game of chess, the first point I wanted to highlight is the variety of characters. Nine in all, three for each style, seem few, but there are enough reasons for us not to tire of them too soon. As if we followed the previous point, that seemingly brief list of wrestlers is completed with the possibility of customizing them until exhaustion in Domain mode. Not talking about aesthetic things or weapons and armor that can be improved gradually, also skills that can be accessed as we move forward and add a layer of interest to be unlocked things to not get tired after a few days. I think it is very wise to create a mechanic as simple as that of directional locks and give it utmost importance in fighting. While it is true that the choice of revenge mode as a response to meet the percale to face various characters is a bit caught by the hair, with some time at the controls you end up catching the trick to fight at a disadvantage and is the best sign of how far we can get juice to your combat system. We talked about the depth of the combat and it is easy to fall there in the error that its short list of combos and attacks can take its toll. However, there is a big difference between using them and knowing how to take advantage of them. You start charging against petty thugs jumping on them or ax in hand and, with the passing of the games, you just learning to know how and where to use these movements to flip to a duel. On more than one occasion I have found matches of Dominion in which, after falling to the point of not being able to reappear, someone draws his most epic side to turn the game around and the rest of the fallen have a last chance To win the game. It is not easy to reverse the situation, but when the feeling of true teamwork and success is amazing. 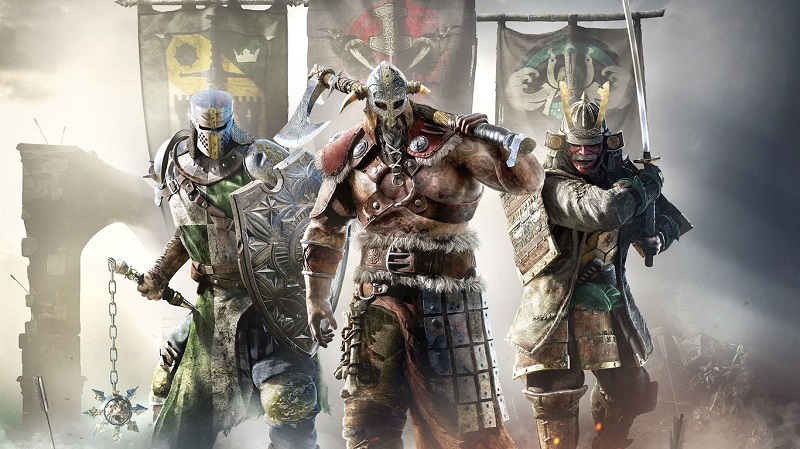 A ‘For Honor’ play knowing that, sooner or later, someone will vapulear. That skill at the controls is key to winning in almost any circumstance and that there will always be someone more flawed than you. That could lapse the hopes of more than one, but the intelligence and strategy to use something more than espadazos and throw a ball of fire at the right time can cause us to meet different types of players. That, somehow, the game is balanced even if your teammates are not aces blocking. I see many waters in his long – term approach, but there Ubisoft has managed to teach us that not gives up any release and, in the same way they have continued to work to improve games like ‘The Crew’ or ‘Rainbow Six Siege’ , imagine ‘For Honor’ will enjoy the same affection. The worst that can happen to a beta test is that servers give problems, and has unfortunately been a fairly standard pattern while playing. Items that fall for no apparent reason, slow connections and people who disappear from the game leaving you sold at best, are issues that must be solved urgently and, hopefully, in the open beta give some hope in this regard. We commented on the subject of being fighting against someone and that, due to technical problems or pulling the cable as a result of an annoyance, the player disappears giving a hole to a bot. A display bot with full life capable of nag an epic victory when you and your opponent trembling life you had is a huge annoyance. Fear of another case ‘Evolve’ is in the air and ‘For Honor’ not saved doubts. It is his campaign, but it seems a great incentive and has remained in a timid background probably for obvious reasons, so the idea of having three modes of play multiplayer with few differences can take back more than one. That they teach what will come, even if only the little point, to remove that fear from above, seems to me what the game needs today.